Ryan Pereira is from Tannersville, Pennsylvania in the Pocono Mountains. He is currently a Junior Clarinet Performance and Music Education major at Ithaca College School of Music, studying under Michael Galván. He was formerly a student of Sanford Kravette. Ryan began playing clarinet at the age of 9 and started private lessons at the age of 14. During high school, he has ranked in the Pennsylvania Music Educators Association’s District 10, Region 5, and All-State Bands and Orchestras as well as the National Association for Music Education’s All-Eastern and All-National Wind Ensembles. 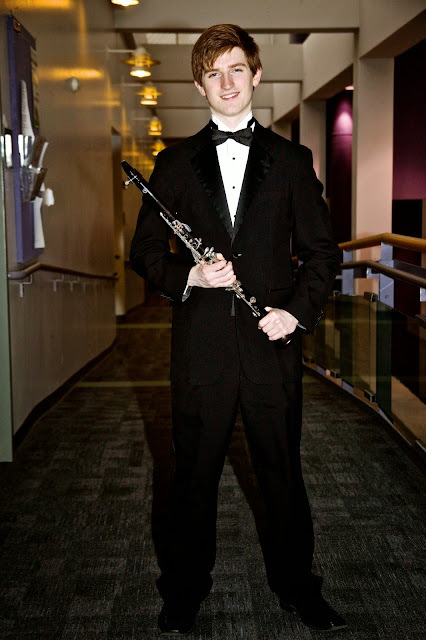 Ryan has performed as soloist with the George Mason University Wind Symphony, performing Carl Maria von Weber’s Concertino as a result of winning the 2010 National Young Artist Solo Clarinet Competition of the John Philip Sousa Foundation. He also won the 2011 Friends of Music Outstanding Young Artist Competition in Bethlehem, Pennsylvania. He was placed 2nd in the 2011 Allentown Symphony’s Voorhees Concerto Competition. He was placed 2nd Prize winner of the 2014 National Society of Arts and Letters Collegiate Woodwind Competition in the New York Chapter. Recently, Ryan has been chosen as Winner of the 2015 Ithaca College Concerto Competition, resulting in a performance of Oscar Navarro’s II Concerto with the Ithaca College Symphony Orchestra.